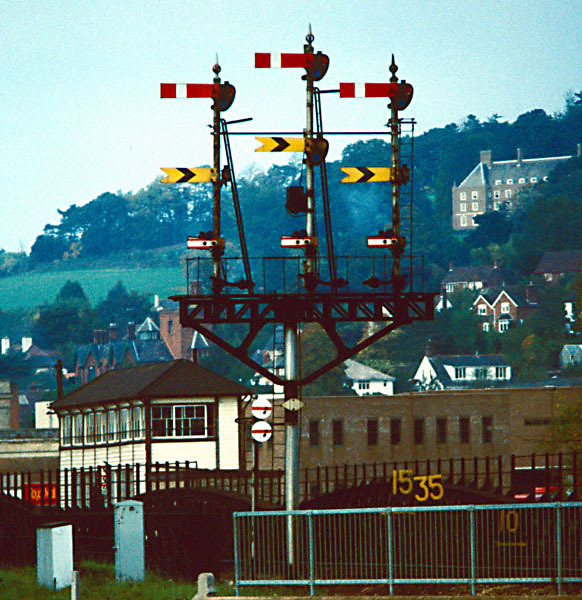 Exeter is a major Devon junction where the former LSWR main line from Waterloo to Plymouth crosses the GWR main line. 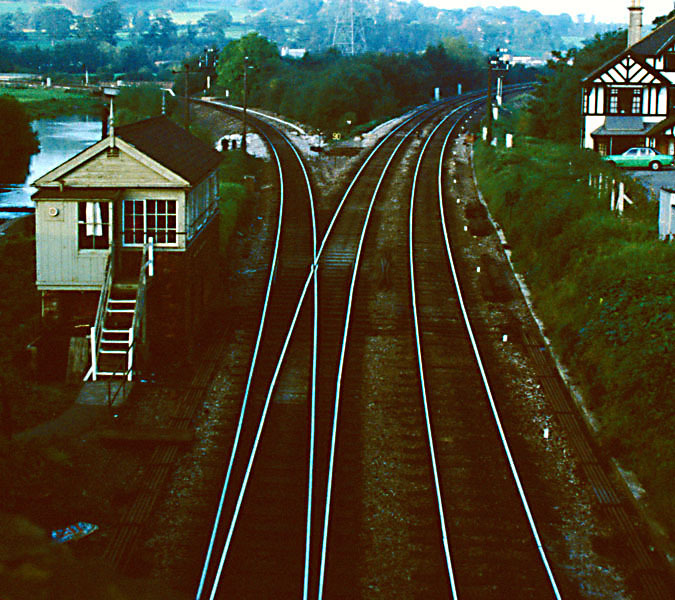 In fact, these two competing routes shared the same tracks between Exeter West junction, at the south end of the GWR's St Davids station, and Cowley Bridge Junction on the north-western fringes of the city. To add a bit of spice, though, GWR trains to Paddington ran northwards on this stretch while LSWR trains ran in the opposite direction, reaching Waterloo via the steep (1 in 37) bank up from St Davids to their own main station at Exeter Central. 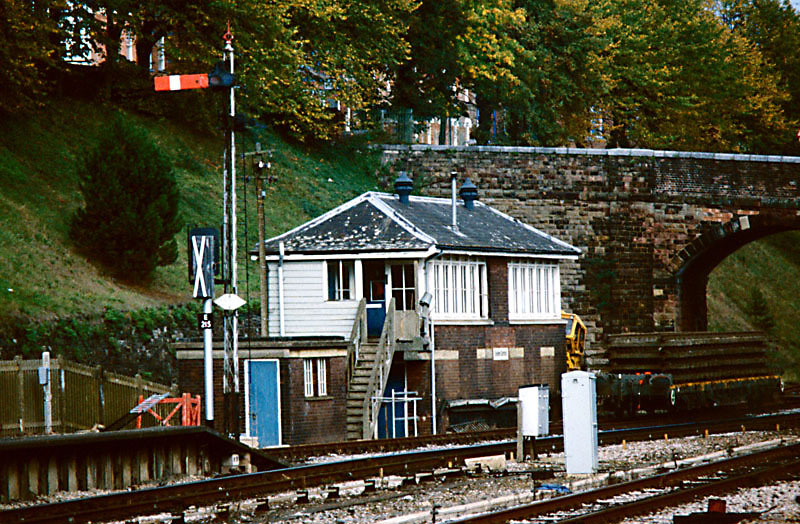 The Exeter mechanical boxes were replaced by the new Exeter PSB in 1985. At the same time, the track layout at St Davids was simplified and streamlined, with the original down main removed, the up middle line becoming the new down main, and the connection to the LSWR line re-aligned so trains to/from Central now run to/from platforms 1 and 3. 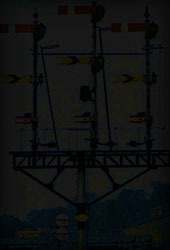 The down line on the bank from Central received bi-directional signalling. Exeter West controlled the southern end of St Davids station, the junction with the Southern line to Exeter Central and London Walterloo, and that with the goods lines from Riverside Yard. (platform numbers in brackets - platform 2 is the north-facing bay behind platform 1). A superb PC-based computer simulation of the box is also available for �30, from either EWG or directly from its developers Blockpost Software. For each copy sold, �10 is donated to the EWG. Unquestionably the best signalling simulation I have so far played! 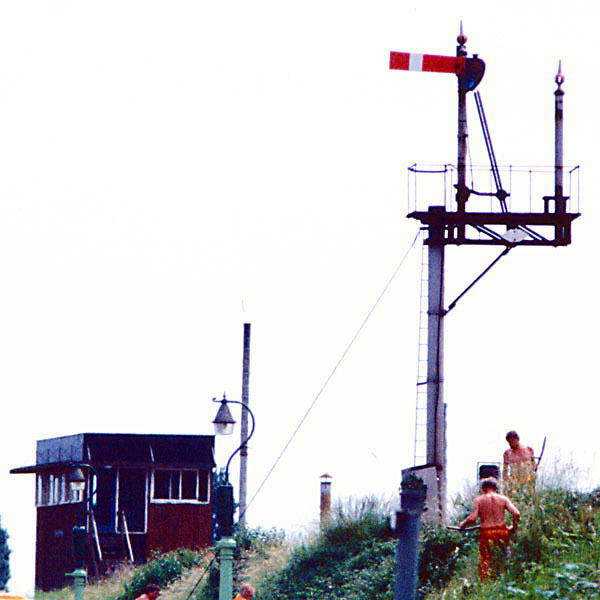 Exeter Middle controlled the northern end of St Davids, and the Red Cow level crossing over Station Road. It was also responsible for attaching banking locos to trains requiring them for the ascent to Central. Exeter Central is the main ex-LSWR station at the top of the bank from Exeter West. 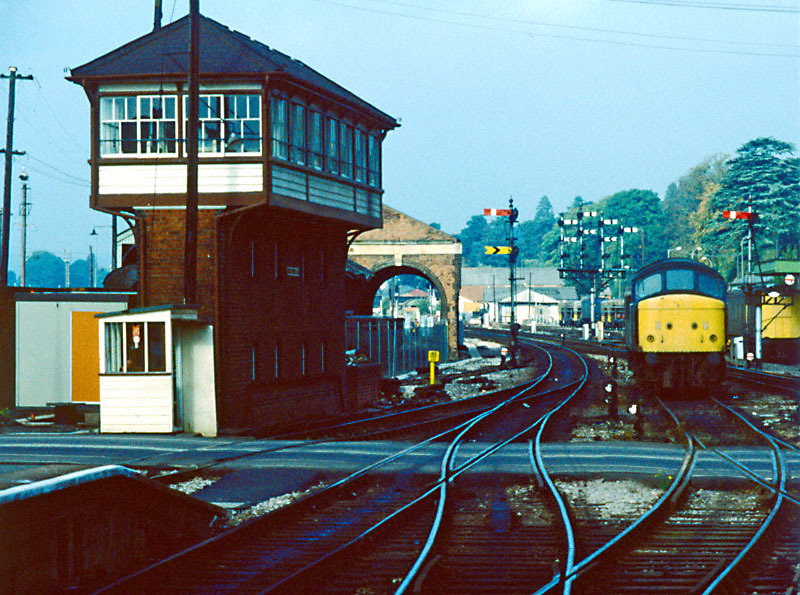 Originally controlled by two boxes named 'A' and 'B', the 'B' box at the country (Exeter West) end had closed in 1970, leaving the whole station controlled from 'A' box shown here. Cowley Bridge Junction controlled the junction for the Barnstaple and Meldon line, formerly the Southern main line onward to Plymouth. City Basin was the next box towards Newton Abbot and controlled separate junctions for Alphington Sidings (formerly, the Teign Valley branch) and the city basin itself.